KaCher and I playfully experimented this not long ago, that if we wake up in the morning and make a decision to think happy thoughts, say happy things and just dress up to look good… we actually will be happy! KaCher even makes it a point to have her Facebook status sound cheerful as often as possible. It works! Nothing new really. It is just based on “It’s all in the head” philosophy. But the key thing is, you have to DECIDE to be, and stay happy for as long as you can. Try it, if you haven’t already. You’ll find out how amazingly powerful your mind is. Courage is also a decision one has to make. I mean, we really have to tell ourselves to brave it! It will not work if we just pray and keep praying, and look and keep looking for courage but never get ourselves up to fight whatever it is we’re afraid of. Most of the times, you will find that it is YOU yourself that is keeping you from your own strength and courage. Like a year ago right on the dot, September 15th… I was grieving the loss of my beloved to a woman 10 years younger than myself. Forty days after my husband emailed me to announce that he was leaving me for this young married woman, I was done praying. I was done crying. And I was done looking for the courage that was playing hide-and-seek with me. So I phoned this 10-years-younger-than-me woman. I talked to her politely only to be advised that I should go talk to my husband. And only then would she take herself out of the picture. I didn’t think she realized it was my picture she was talking about. 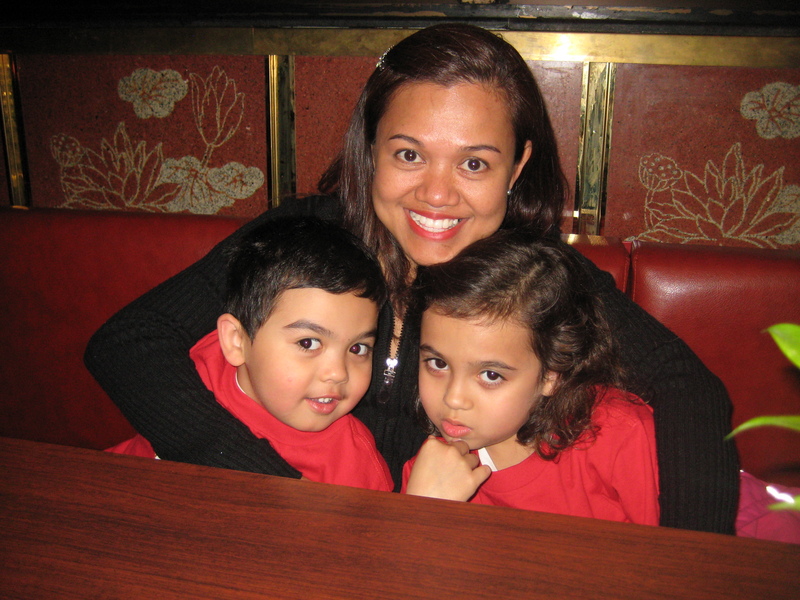 And when they both came home – on the first day of Raya 2008 – from a regretful vacation in Spain, when my husband and I came face to face and I finally made my decision to let go of the marriage after we were done talking and he wasn’t coming home… I made another decision of courage. I went to her house! Again, I was done talking. I was done praying. I was done crying. I decided to move on. To be happy. (Happier, actually, for not getting tangled in such a mess.) And I got the courage from just making that decision. I also decided that it was time for a closure. Dalam hati, I thought… “Hah? Of course you don’t come and storm me at my gate, you dummy! I am not taking anything yours! In fact, you should be ashamed of yourself and never come close to me, my kids or even my gates! Eeeekkkhhh!” I freaked her out? My sheer knowledge of her whereabouts gave her goosebumps? Yeah, that was because she thought I was stupid. And that… had shown me how laughable she was. Oiii she can have it lah! Hmmm… you know what, I should keep the rest of this story of courage for my novel. Look for Enida’s bestseller on the shelves, will ya? Chewah, bestseller, cik main! Hehe. If you can’t find it in the autobiography section, then you won’t miss it in the fiction! Tajuk novel akan diumumkan dalam beberapa bulan akan datang. Most likely it will be plagiarized from a movie title: Enemy At The Gate. I missed many entries and I am so glad to read this particular one! I am so happy for you and your children. I know this must be a bit awkward for you. But could I ask for your email address to initiate contact in privacy please? I am about to disembark on a very challenging and lonely journey and in need of someone to talk to. Thank you so very much. know what enida, i need a closure. i’m suffering alone. i have these passing thoughts of this stupid woman in my mind every time something triggers the memory. a closure with a revenge would be nice. Yes, I think you need a closure. The best is to face her (and her un-smart-ness), no matter how painful it may be. When I went to Mrs. X’s gate, I thought I was going to get my closure. But I actually got more than my closure! It was also the ‘closure’ to the affair. That very night, my husband saw Mrs. X’s true colors (well, he saw them in Spain lagi dah, but was too proud to admit it!) Suddenly everything turned black and white, and ‘her spaghetti turned sour’! Hehe. She was, he admitted it later, nothing but an ugly mistake. Oh, did I tell you how arrogant Mrs. X was to me that night?